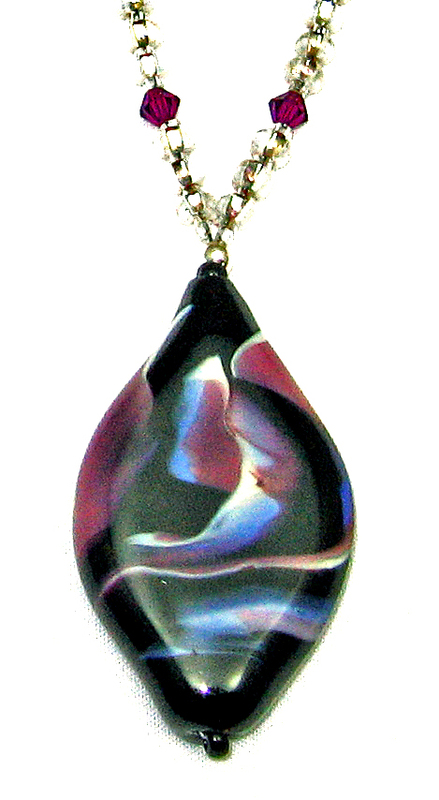 The handmade bead featured in this necklace has swirled patterns of white, transparent amethyst, and transparent blue on a black base. This diamond shaped bead is flat. 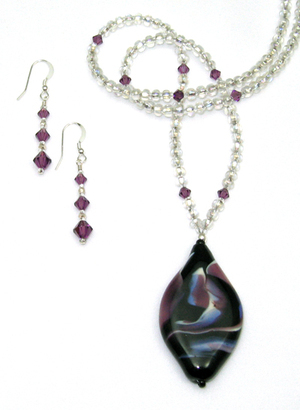 The necklace is strung with silver-lined seed beads and amethyst Swavorski crystals. The clasp and earrings are sterling silver.